Unfortunately in today's society many people are ignorant about the American Pit Bull Terrier ( APBT ) dog breed. Because of this ignorance, proliferation by the media of false data and by the false reports of individuals, the Pit Bull has went from a highly respected and desired pet to one that is unfairly judged, and in many cases around the world, are seized due to prohibition of ownership laws known as Breed Specific Legislation ( BSL ). Additionally laws have been developed and rules established by "so called" humane organizations, which seek to practice euthanasia on these animals without even the opportunity of adoption or being sent to rescue associations. Because of these no-adoption policies this unfairly skews the numbers being reported as euthanized given a misrepresentation that there is an overpopulation issue. The issue in fact is not overpopulation but failure by such organizations themselves to enact fair policies and do their job in properly seeking out good homes for pet placements. This unfair stigma has hurt the Pit Bull more than any other breed of dog and caused unrealistic fear within much of the general community. It is of the utmost importance for us as lovers of these beautiful and majestic animals to not promote this unfair negative stigma and counteract such negativism with truth both by example and word. 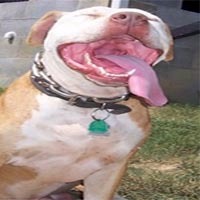 To help promote the truth it is important for us to recognize the studies that have taken place, which prove the true nature of the Pit Bull dog breed. Farmers Branch, Texas, a suburb of Dallas, has kept accurate records since 1980. During a 7-year period from 1980 through 1987, this is what was recorded. Total bites: 1,593. Pit Bulls accounted for 30 bites, or 1.89% of the total. Other studies tend to show the same results and because of so many mongrels that have similar features and the unfair lumping in with the American Pit Bull Terrier ( APBT ), it seems reasonable to assume that the figures are actually much lower. 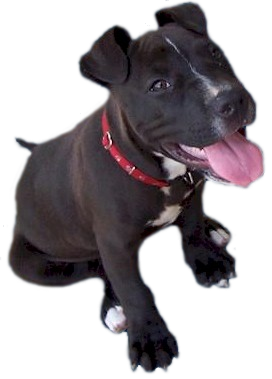 The American Temperament Test Society continually ranks Pit Bulls better in temperament than many other breeds. The Airedale Terrier, Basenji, Beagle, Bichon Frise, Border Collie, Chihuahua, Collie, Dachshund(4 of 6 varieties), English Setter, Lhasa Opso, Pomeranian, Shar-Pei, Shiba Inu, Shih Tzu, Schnauzer, and Toy Poodle all score below average and many more far below than that of the Pit Bull. Even though these other breeds temperament score is less than average many people would not even think twice in their ownership as a family pet. In a report from Dekalb County Georgia, the conclusion was reached that statistics could no be used to document the dangerousness of any one breed, or the comparison of one breed to another. The 5-year study of fatal attacks from 1975-1980 lists the German Shepherds first and "mixed breeds" second with the American Pit Bull Terrier ( APBT ) listed 6th. A 6-year study in Palm Beach County of "most severe dog bite by breed" shows the top 10 breeds that have been identified in this comparison. It is important to realize when reading these numbers that the Pit Bull is the most popular breed in the United States and there are 6X times the number of Pit Bulls than the next closet popular breed. Based on proportions and all other things being equal this means the Pit Bull should theoretically always rank as the top breed for bites as it is in fact the most populous breed by far. Some of the breeds, which placed above the Pit Bull's were Dalmations, Chows, Labs, Golden Retrievers, Rotties, Dobermans, and the Cocker Spaniel. What is not noted in the claimed Pit Bull bites is whether these were true purebreds Pit Bulls or whether others known as "Pit Bull Types" were also included in the Pit Bull stats. 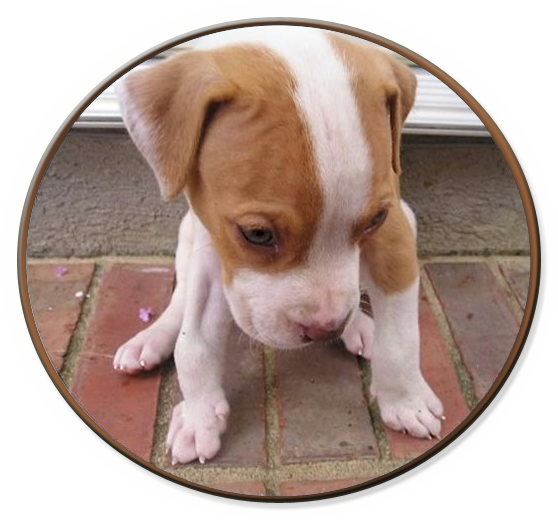 The use of the generic terminology and loose definition status used under the term "Pit Bull Type" often skews true Pit Bull statistics and often inflates such reports far out of reality for the true purebred Pit Bull dog breed. 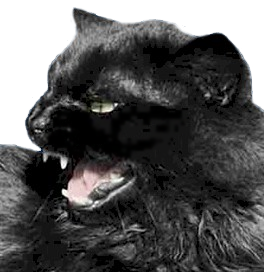 In a 1993 study, also in Palm Beach County, the bites were ranked by severity from 1 to 4 and the animal that was recorded as having inflicted the greatest number of severe bites was the domestic shorthaired cat. Loosely defined the breed labeled as "Pit Bull" was in 5th place, surpassed by the cat, German Shepherd, Chow, and Lab. 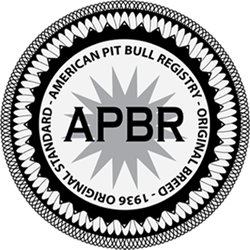 In reviewing statistics on breed bites it is important to understand that the term "Pit Bull" is used as a generic describer and not that of verifiable purebred Pit Bulls. Any dog with any bully characteristic is often falsely lumped in with the Pit Bull thus giving a false perception that the purebred Pit Bull is more dangerous than it really is and skewing stats unfairly against the purebred Pit Bull dog. The division of general pediatrics, emergency medicine, at Children's Hospital in Philadelphia conducted a study in 1989 as a result of a ***perceived*** increase in Pit Bull injuries. 12 different breed/crossbreeds were identified as perpetrators, the top four of which were German Shepherds, Pit Bulls, Rottweilers and Dobermans. 54 per cent of the animals were contained and 45 per cent were provoked prior to biting (by parental report). In reviewing this stat it is important to understand the nature of many of these animals was specifically to use them to guard property and that such bites were the result of negligent or harmful activities perpetrated by the individual that was subsequently bitten or by irresponsible parenting. In 1991, in Australia, the Journal of Pediatric Child Health reported that the German Shepherd was implicated in dog bites presented to the ER of a children's hospital and were implicated more frequently than their prevalence in the community. This statistic shows that inaccurate breed identification is one of the greatest factors in the false implication of bites by breed. According to research done by Glen Bui VP of American Canine Federation shows the following stats, which is a more accurate representation of true bite stats since it actually includes the number of fatal attacks divided by the population, which is required to determine fatal attacks based on breed. Dog bites cause an estimated average 585,000 injuries each year resulting in the need for medical attention with children being the most frequent to be bitten. The study sought to determine dog-specific factors independently associated with a dog biting a non-household member. (88% occur in the dog owner's yard or home or in the **adjoining** yard. 62% members of the victims' families witnessed the bite.) It is important to note the negligence associated with children who trespass or otherwise provoke a bite as well as irresponsible parentage allowing such children to act in an irresponsible behavior thus leading to the increased prevalence of such bites. The identified risk groups are children less than 11 years old, the average age is 8, and males outnumber females. This is probably out of disrespect typically exemplified by these young children. Only 7% required hospital admission. The method was to match 178 pairs of dogs selected from dogs reported to an urban animal control for a first-bite episode on a non-household member in which the victim received medical treatment. Controls were neighborhood-matched dogs with no history of biting a non-household member, selected by modified random-digit dialing. The odds of being struck by lightning are 1 in 600,000 in the USA. Comparatively speaking you are 6 times more likely to be struck by lightning than you are to be killed by a dog of any breed. When you further break down the odds of being attacked and killed by a Pit Bull the odds are in your favor -approximately 1 in 145,000,000. That's million folks. In contrast, you are 4 times more likely to be killed by a cow in the USA than any breed of dog, much less a Pit Bull. So why do some dogs attack? The answer is quite simple really. Instigation by the "so called" victims themselves. Although there are some bad dogs out there these are in the minority and there is a tendency to blame the dogs and / or their owners without just cause. In today's society where everyone wants to be labeled a victim we have removed all levels of personal or parental responsibility. Why is it that in today's society we hold humans less accountable with their ability to reason than animals? Such studies that do not take into account an expectation of human responsibility only make finding a solution to the issue of dog bites even more hard to deal with. In today's society we have unfortunately moved away from personal accountability and responsibility. Many are looking for others to take care of them in every aspect of their lives including the proper raising of their children. When something negative happens in today's society it is no longer an individual's fault because they have been dependant on the care of others and have been taught there is no personal accountability. Today's society is eager to slap the victim label on anyone who becomes hurt even if this is due to their own negligence or ill intent. If you are an owner of a dog it is your responsibility to make sure it is properly confined. For the good of society you should additionally make sure it is well socialized. If you are the parent of a child it is your responsibility to raise your children with respect for you, themselves and others. In the category of others this includes both property and animals. If an animal mauls your child due to your lack of responsible parenting, this is your fault, and you must live with the moral consequences. Regardless of what a court may say you will always be the bearer of your morality and by not teaching your children respect and the proper ways to act then you bear this moral burden. So why am I preaching? The majority of people who are killed by dogs are children. These children often instigate the attack by trespassing, throwing objects at dogs, harassing, torturing, and otherwise acting in a threatening manner toward the dog thus instigating an attack. When this is the case there is typically a strong tie to irresponsible parenting and improper education of morality and respect. From the dogs' perspective they are merely acting in self-defense, which is natural for any animal, including humans. "Thank you and God bless you for being a "light in the dark" for our beloved breed."